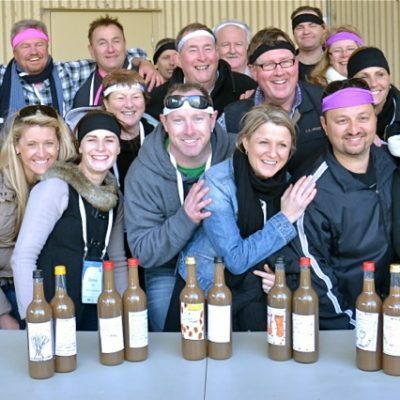 Best fun Southern Highlands Amazing Races for Bowral accommodation matched with team building activities and events for businesses or conferencing corporate groups exploring Mittagong, historic Berrima, Bowral, Bundanoon or Bowra. Explore the wineries of Sutton Forest and leap to Kangaroo Valley to locate the heart of the The Southern Highlands. All less than 2hrs South of Sydney. 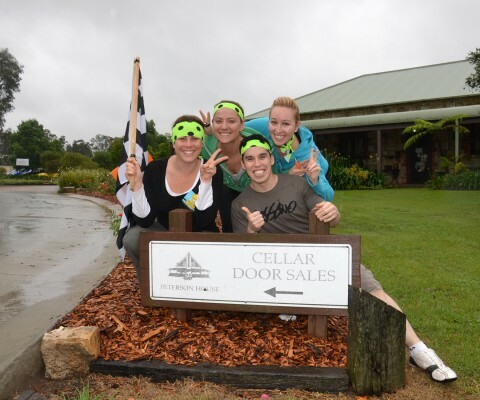 Enjoy a series of exceptional Bowral Amazing Race activities great for team bonding! Jam packed with great corporate challenges for corporate group events and social experiences. Explore the best fun activities in Bowral, Berrima, Robertson, Berry and the beautiful Kangaroo Valley has to offer. 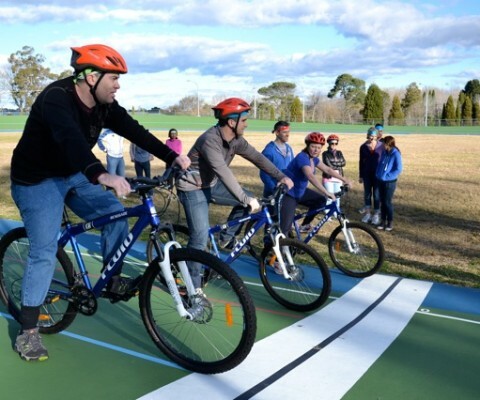 Amazing races start at all Southern Highlands conference venues with creative team building activities from Bowral Conference venues Peppers Manor House including; Craigieburn, Milton Park and Gibraltar Hotel. Discover The Kangaroo Valley’s best hidden gems. From Bowral, Berrima, Bundanoon or Burradoo. Down to Berry and Kangaroo Valley. Amazing checkpoints in Jamberoo and Nowra can Include award winning Illawarra Fly and Treetop Adventures. One of Australia’s premier zip line experiences. 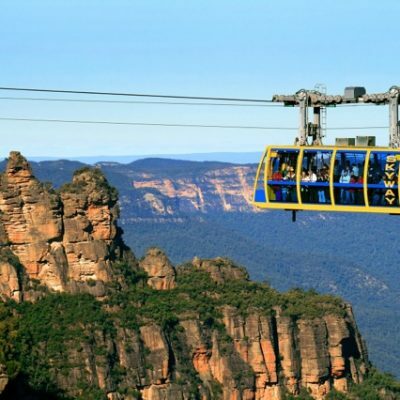 Located in the Southern Highlands of New South Wales, less than two hours from Sydney or Canberra. Amazing Races provides exceptional corporate team building activities and development exercises here. With a range of adventures and corporate events for conference groups. Conferencing at The Gibraltar Hotel? AR professionally facilitates Team Building and exciting conference packages with our themed events planning partner THRILL. Only a wine sip away from Centennial Winery and other boutique wineries. Next door is Craigieburn, a great Peppers conference venue in Bowral closer to the awesome historic township of Berrima and Berrima Gaol. Over the hills is Peppers Manor House, the charming Milton Park and down the Illawarra escarpment to Kangaroo Valley with a host of adventure activities from Canoeing The Shoalhaven to Mountain Biking that we can package for your team. Enjoy the most popular fun, exciting and engaging activities suitable for corporate team events in the Southern Highlands. For over 15 years we have delivered an exceptional standard and variety from Murder Mysteries, Segway and Bubble Soccer Olympics Games, Survivor Challenges, Casino Nights, Wine Tasting, Wine Blending and Grape Stomping at Cellar Doors, Minute 2 Win It Games. Corporate events evening Trivia, Pictionary, Scattegories and table entertainment alongside our favourite Amazing Races. 1. FUN FACTOR Amazing Race Bowral 1.5-2hrs. Simply awesome fun fast format with 50% details up front. Can be accomplished direct on the conference hotel and resort properties or in Bowral, Bundanoon or historic Berrima townships. 2. MYSTERY MIX EVENTS 2-2.5hrs. Trust the AR team to mix the best activities for budget. Included is themed Envelopes, Mats, Flags, Registrations and terrific series of interactive Challenges from the Don Bradman Museum to Berrima Historic Town, Burradoo and Bundanoon. Intersections and mysterious locations to receive an impressive team event package. Is The most popular teambuilding exercise. Our event staff facilitate and run all activities. Hosting the checkpoints, registering your arrivals, rewarding you with more tasks. The sensation has all the features including the highest point of Mt Gibraltar above Bowral. Cricket bowling and batting at the crease of Donald Bradman Museum. Visit a Winery to sample delicious local Southern Highlands wines or grape stomp and blend wines of the best cool climate varities. An amazing combination of local activities linking other areas like Mt Gibraltar, Mt Alexander, Mittagong, Sutton Forest, charming Berrima and Bundanoon lookouts. Before descending into the Kangaroo Valley. Transport can be with own vehicles our mini buses for your next exciting corporate team challenge. Allow us to custom build your event – including any destination. Even better, make your journey from Sydney an amazing exploration stopping at unique secrets along the way. with more adventures and experiences like Hot Air Ballooning, Donald Bradman Cricket 99 not out, racing Car Driving, Sky Diving, Abseiling, Mountain Biking, Cycling on a Velodrome, Wine Tastings, Wine Blending, Grape Stomping, Wine Barrel Rolling, Zip Lines flying foxs in The Tree Tops, Archery and on Target Sling Shot Shooting to get the adrenaline pumping. Full of unique experiences and great activities, our Southern Highlands Amazing Races staff have expert local knowledge. They are committed to ensuring excellent events. Designing and delivering an exceptional activities directly on the grounds of your conference accommodation at Peppers Craigieburn great races, Gibraltar Hotel, Milton Park amazing races, Little Forest or Peppers Manor House. Start at any of the Resorts and Conference venues within the Southern Highlands environs of Bowral, Bundanoon, Burradoo, Historic Berrima, Mittagong and the beautiful Kangaroo Valley. We improve team development incorporating communication skills, planning, strategies and team work to achieve results whilst exploring the region. 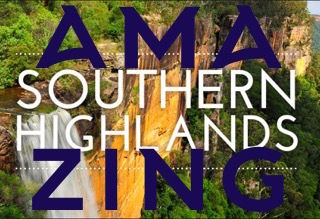 Experience The best scenic locations with the 10 best Southern Highlands team event activities. Take in stunning views from Mt Gibraltar, Visit local wine makers wineries serious about Pinot Noir and Centennial Wines. Outstanding team building activities include. Having a smashing time playing corporate challenge cricket activities at Donald Bradman Cricket Museum. Or sink your teeth into the Gumnnut Patisserie for the sweetest treats as an eating challenge! Whilst conferencing in Bowral, be sure to explore antique book shops, gaols, court houses, museums and platypus in the Wollondilly River. 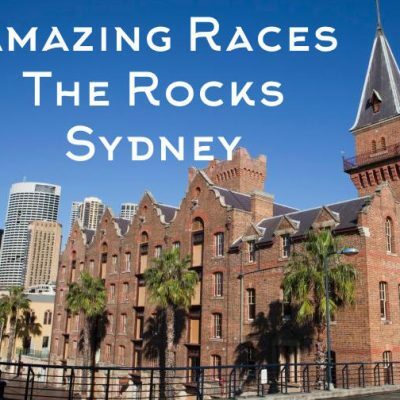 Experience the Bong Bong Races, Charming historic pubs and the most brilliant highland Pinot and Sauvignon Blanc wines. Many hidden Southern Highlands Treasure Hunts are discovered with Thrilling Team Building professionals. Proven as an outstanding team development event for many corporate groups. Suitable for all ages and abilities. We successfully integrate communication skills, planning, strategy, teamwork and a race against the clock in a fun and energetic environment. Drive and navigate the picturesque Kangaroo River lookouts and waterfalls. Problem solve and strategise, competing and at times cooperating in Detours, Roadblocks. A series of Rewarding team development exercises and challenges are presented. We supply all transport options from people movers to BMW Mini Coopers to Historic Jaguars or Mini Buses. We package your entire event for a product launch to an annual general meeting, conference or special ocassion. Ideal team development activities and experiences are launched from Craigieburn Resort. Team Building exercises are available at Berida Manor in Bowral, Briars Country Lodge, Links Resort & Inn at Moss Val. The Little Forest Boutique accommodation is quaint and suited for Conferences, Meetings, Incentives. Taking a group for fun activities at Peppers Manor House in Sutton Forest is a treat. Or enjoy rejuvenation at the Solar Springs Health Retreat in Bundanoon. Team development and leadership activities are facilitated at Craigieburn Resort. Watershed is a crisis center run from Wollongong. Helping and supporting those with Drug and Alcohol Addictions. Requested AmazingRaces organise their conference Activities Package. Staying at Links House, the Watershed crew set off on an Amazing Race taking them to iconic locations including. The Gumnut Patisserie, a real Cycling Velodrome Bike Riding Challenge, Don Bradman for cricket, Tulip Gardens identifying flowers. Up to the pinnacle of Mt Gibraltar and wine tastings at Centennial Winery. Then finally back to Links House to a Thrilling pitstop and finish. Here they undertook a night of frivolity and fun with evening entertainment activities of Trivi-Action and Games from Thrill and a delicious dinner. “The Amazing Race by Amazing Races through the Southern Highlands was fantastic, The team were excellent. Kept everything moving along and entertaining. We wanted an event that had structure but was above all fun and it definitely satisfied my expectations!” Will Temple, Watershed CEO. Kick off your conference session with an Ignition fun team challenge and briefing. 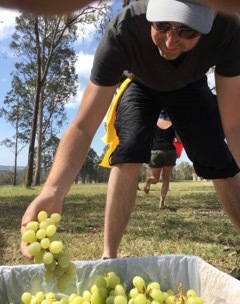 Picking grapes, making wine and enjoying a wine tasting unique to Southern Highlands wines. Cycology Cycling Fun Bong Bong Races challenge – Cycling your team around a real velodrome. Accomplishing together to earn points The team pit crew is vital for a successful changeover. Creative & Artistic team challenges. Teams get to know each other better through creating a portraiture of 2 outstanding team members – reflecting their life story. Pad up for a cricketing challenge at the Don Bradman Oval. Gear up and have an adventurous descent. Extras: Abseiling leap over the edge or Flying Fox! Mt Gibraltar is the Highest point and local pinnacle with magnificent views stretching to the horizon. Eating challenges enjoy speciality secret Southern Highlands culinary delights, especially from our favourites; BIOTA and The Gumnut Patisserie – where their motto is life is short – “eat dessert first”! Charity Team Building gifting to local communities through Team Building Projects assisting Southern Highlands children’s charities. Featured Amazing Race Southern Highlands Challenge driving Armoured vehicles driving a 52 ton tank. Contact the Amazing Races team on 02 9630 2222 to custom build fun events for your next staff Conference in Bowral, Moss Vale, Milton Park activities, Craigieburn Escapes. Luxury, Boutique accommodation and Peppers Manor House. Or at the Gibraltar Hotel home of the golf grounds for magnificent corporate events from 10-500 staff and employees competing in fun to win! Exceptional experiences for corporate events and team building activities that embrace the Southern Highlands from Bowral to The Kangaroo Valley. Ropes Courses, Sports cars, Cycling, Golf, wine tasting and wine blending. The Amazing Races team leaves no stone unturned in providing you the best activities. Starting from The Gibraltar Hotel, Craigieburn and Peppers Manor House or The Links. Finish in quaint pubs or back to the conference rooms for a fun finale.